The Co-Artistic Director of 18th Biennale of Sydney will curate a solo exhibition of the work of Sydney-based artist Simryn Gill. Gill works across multiple media and has exhibited in the 2002 and 2008 editions of the Biennale of Sydney. The artist was selected by a six-member peer panel and will create a new series of works for the Venice Biennale. Catherine de Zegher is an art historian, curator and writer. She is Visiting Curator at the Antoni Tàpies Foundation, Barcelona, and until recently, was Guest Curator in the Department of Drawings at the Museum of Modern Art, New York. 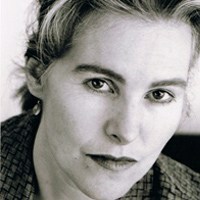 From 1999-2006, Catherine was the Director of The Drawing Center in New York. In 1997, she was the Commissioner of the Belgian Pavilion at the 47th Venice Biennale.